As you might remember from this post, some months ago we tasted a delicious beer with a hint of elderflower in Torvehallerne market in Copenhagen. 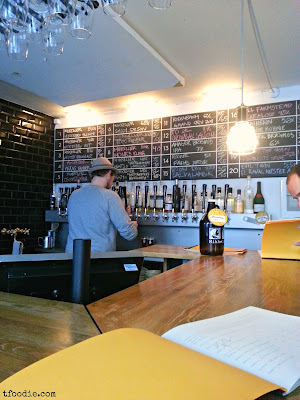 So this time, it was only a matter of finding the brewery's Vesterbro bar. Mikkeler is a micro brewery created about 8 years ago by Mikkel Borg Bjergsø and Kristian Keller after experimenting in their kitchen with malts, hops and yeast inspired by cloning other beers and then making their own. Today Mikkel exports his beer to 40 countries. 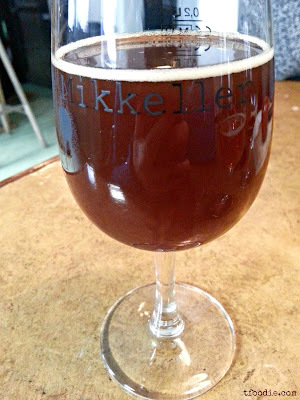 He brews most of his infamous drops at de Proef Brouwerij in Belgium and has made collaboration beers with some of the world’s most acknowledged and innovative microbreweries. If that weren't enough, he makes house beer for some of the best and most famous gourmet restaurants in Denmark, such as Noma and Kiin Kiin (both Michelin starred). 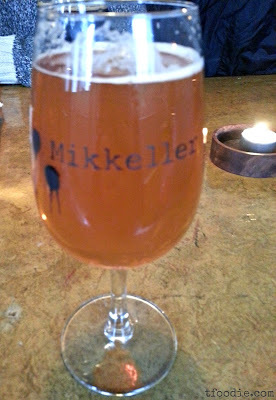 In May 2010 he opened the bar Mikkeller in the centre of Copenhagen, in the hip neighborhood of Vesterbro) with the ambition of creating a small, cool and elegant place for both beer lovers and novices. 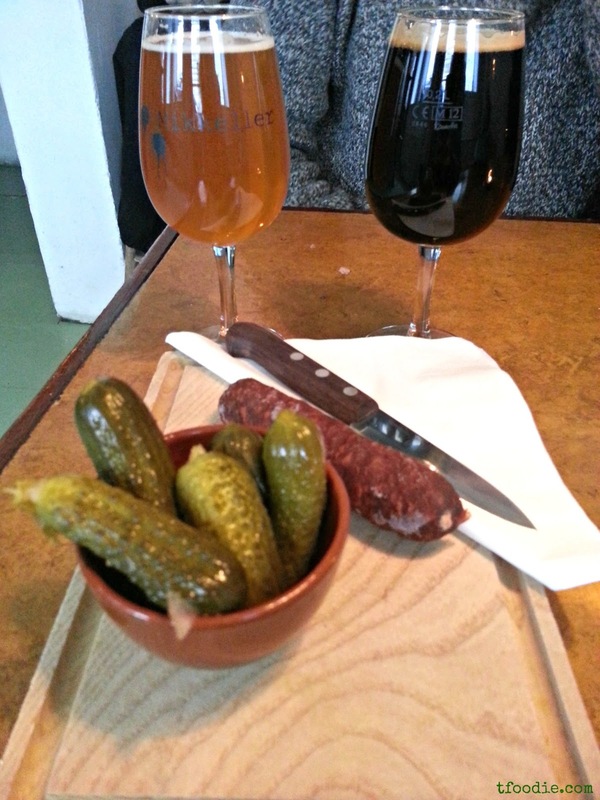 The bar serves both Mikkeller beer and the products of other top quality micro breweries from around the world. 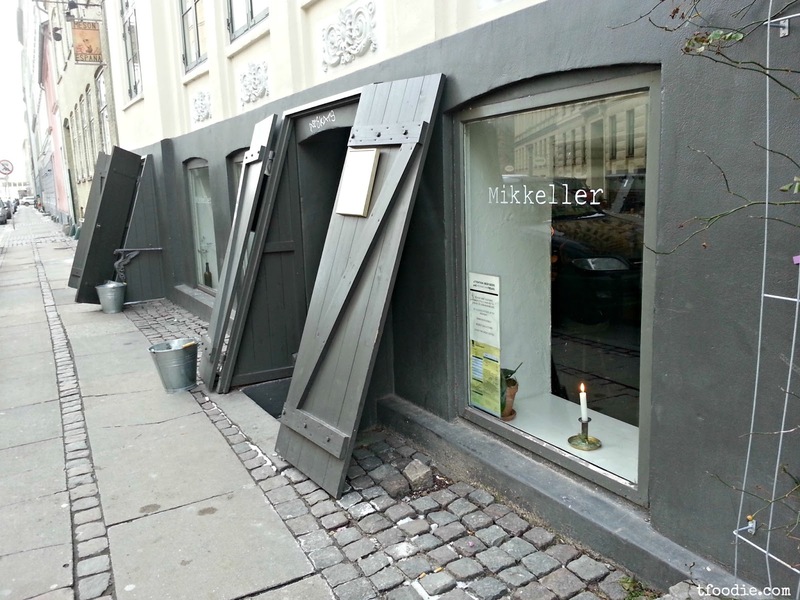 Mikkeler will be opening a new bar in the other cool neighborhood of Copenhagen, Nørrebro, in spring 2013.